This entry was posted in Grid Modernization and tagged Smart Meters. Bookmark the permalink. Both comments and trackbacks are currently closed. You can spew scientific information all you want. What do you say to the thousands of people who are literally abandoning their homes as they got ill? 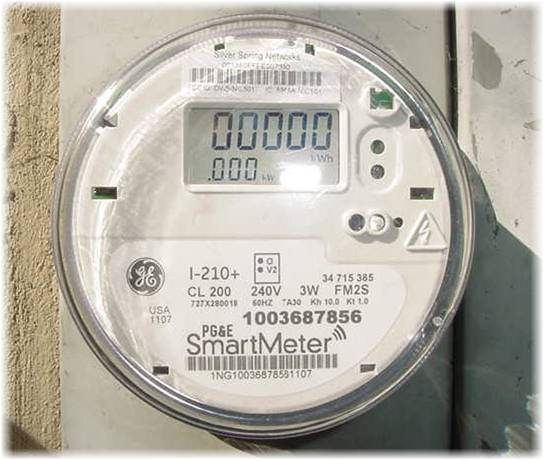 In every state smart meters have been deployed, people have gotten sick. Many of the meters are less than 5 feet from where people spend a LOT of time in their home and as the information PG&E provided, by judge order showed, the meters emit up to 190,000 times per day. At random times, these meters spike at high levels. We have personally measured the meter on our house in CA many times and it has been over 1 milliwatt/cm2. As well the mesh network which allows the meters to pass information through each other is a web of ongoing radiation. Whether you like/accept this or not, these are the facts. MS, haven’t you read that this is a psychosomatic illness? This is why EHS is not considered a medical condition recognized in any country. It is fear of smart meters that is causing people to be ill. No one who claims to be sensitive has been able to detect when they are being exposed under controlled conditions. THOSE are the facts. Yes and this video testimony is another psychosomatic illness? Sweden recognizes EHS as a functional impairment; Canada Pension Plan recognizes EHS as a disability; Europe, China and Russia all have much tighter microwave emission standards than North America. So tell me again: why is EDF called the Environmental DEFENSE Fund when you clearly haven’t checked the unbiased science and are, hopefully unwittingly, promoting Environmental DEATH instead? Have you read about the impact of microwave radiation on migratory animals, such as birds, bees, bats–our pollinators? Look up “magnetite” and how manmade EMR interferes with their homing ability. We depend on these tiny creatures to pollinate our crops; we’ll eventually starve without them. EDF, do your research, dig deeper into unbiased science. What happened to me is the perfect example of why this is NOT a psychosomatic illness. Last Fall, I had headaches and ringing in my right ear. I attributed it to stress related to our home renovation. But after I returned from a vacation, I realized that the ringing had resumed, where it was absent while I was away. I googled “headaches and ringing in the ears,” and up came smart meters – something that I assure you was not even the slightest bit on my mind. I barely knew what a smart meter was. So no, this is NOT a psychosomatic illness. If EDF’s priority is public health then it should look at independent (aka not industry affiliated or funded research). There are thousands which indicate the severe and varied health effects which, for many, are debilitating and life-changing. Also, look at Dr. Daniel HIrsch’s critique of the Calif. Council of Science & Technology. 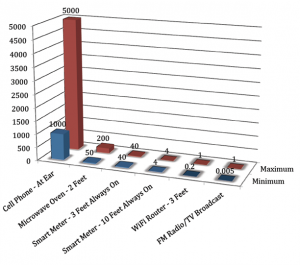 In fact the level of radiation from smart meters is 50-450 times that from a cell phone. The effects of radiation are cumulative and the wireless meters add one more layer — a constant, never ending one. Many people are feeling the effects and they are real. Did you not know that the Americans with Disability Act recognizes electro-sensitivity? Really, you should check out your facts because so many are wrong. Thanks, Sharon, for setting the record straight. Because I am unable to add a comment of my own on EDF’s website, I’ll just add to yours. Ms. Brunette, you say you have “dug deep” into the literature. So have the medical professionals at the California Department of Public Health who call into question the findings of the industry-funded CCST study, upon which the utilities and others with vested interests in the “smart” grid rely. Shame on you, EDF. Shame on you, Ms. Brunette. We were blind to the true nature of EDF, but now we know the truth and will be canceling all support we have been giving to your organization. Heather Black, please see this article from the International Journal of Neuroscience, proving that one CAN feel RF radiation. Your article claims that “a study by EPRI found that during a call, cell phones held at the ear generate exposure levels between 1000-5000 microwatts per square centimeter (µW/cm2).” If you read that EPRI study, it “found” no such thing. It merely stated that number. The footnote reads, “Based on a 3-inch, 250 mW antenna emitting in a cylindrical wavefront.” No mention of what brand, model, wireless network, or production year of this fictitious cell phone to allow for verification. Further, I checked with an EE with 28 years experience currently working for a wireless network provider, and he said that number should be about 250 to 350 uW/cm2 NOT 1000-5000. So right there your data is exaggerated 20-fold. A popular smart meter, Itron, lists in its FCC submission that at 20 cm (ie, “right in front of the meter”) the maximum power density is 232 uW/cm2, not 8.8 as your article indicates. Basically, smart phones and smart meters emit comparable levels of (averaged) radiation, the difference is in the pattern of exposure. How many hours per day or week does one talk on a cell phone? For sure, no one is talking on a cell phone while sleeping. Yet a smart meter is emitting every few seconds, albeit briefly, 24/7 with no letup, often with someone’s bed just the other side of the wall the meter is on. The cumulative exposure to either form of RF (cell phone or smart meter) is a possible carcinogen, according to the World Health Organization. And the momentary (unaveraged) spikes of smart meter RFR are orders of magnitude higher than cell phones. One Edison meter is said to be 229,000 uW/cm2 at 20 cm. 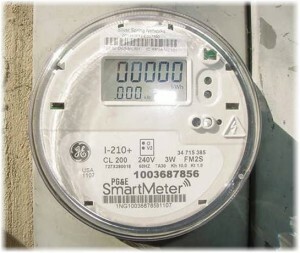 The CCST report from which you obtained the comparative chart, was roundly criticized by experts around the world (http://sagereports.com/smart-meter-rf/?page_id=282). The data in the CCST chart was pulled from the Dec 2010 EPRI report, produced by Richard Tell, which measured banks of 10 meters in a grassy field. The grassy field minimized reflections (found in an urban setting from roads, building walls, plate glass windows, trucks, etc), which Cindy Sage found could increase exposures by as much as 2000%. Plus there was no explanation provided of how the measurements from banks of meters was adjusted down to represent a single meter. Finally, your statement, “To date, there is no scientific evidence of non-thermal impacts from smart meter RF emissions” is absolutely false. While smart meters have not been studied much (they are too new) the frequencies and exposures of these devices have been studied thousands of times and found many adverse health effects. Just read the BioInitiative Report. If you really want to “protect the environment and the health of customers”, you will tell the truth instead of the industry’s propoganda. I need to explain our thankfulness to your kind-heartedness offering help to people that truly require help while using theme. Your special commitment for you to get the content about became exceedingly helpful and still have continually helped workers much like me to get to their particular aims. The actual beneficial suggestions signifies considerably in my experience as well as more to be able to our co-workers. Thank you; via every one of us.